And at long last, we come to the final thoughts. Through real-life patterns of deception, we can identify weaknesses in our writing and shift those weaknesses into strengths. With that in mind, I offer the following summary of this series. In short, the poor liar spoon-feeds their audience because they don’t trust them. They either control every aspect of their narrative so tightly that it loses all authenticity, or they treat it with such vagueness that it never had any to begin with. Skillful liars exploits their audience’s truth bias. They use cooperation defaults to further their deception instead of allowing those defaults to constrain them within the boundaries of truth. As fiction writers, we need to be skillful liars, not poor ones. Our ability to engage our readers and to keep them engaged depends largely on how well our stories resonate with their perception of truth. Immersive reading only occurs when the reader forgets they have a book in their hands and starts living within those pages instead. 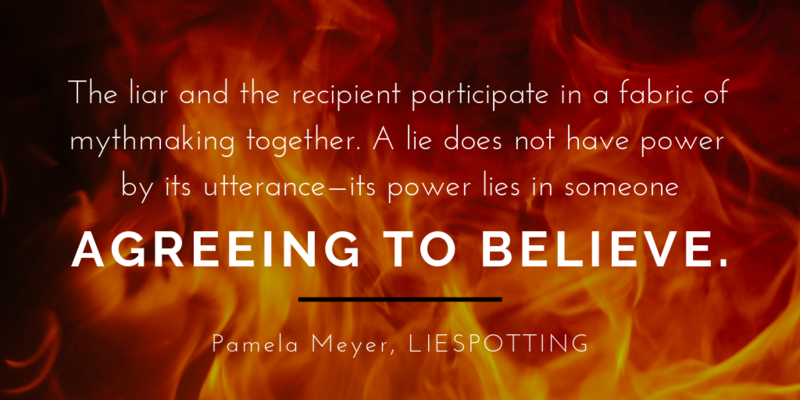 In her first chapter of Liespotting, Pamela Meyer shines light on an incredible truth. This hold true for fiction as well as real life. The author and the audience are partners in creation. Thus, when you engage in Cooperative Deception, your words have power. Trust your audience. They are with you for this ride. Lie to them with every pattern of truth you can mimic. And that is the end of this series. Now get out there, my lovelies, and let your stories take over the world. 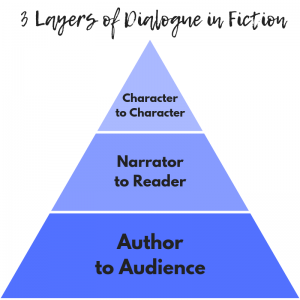 The mystery genre requires careful threading of information from character to character, between narrator and reader, and from author to audience. 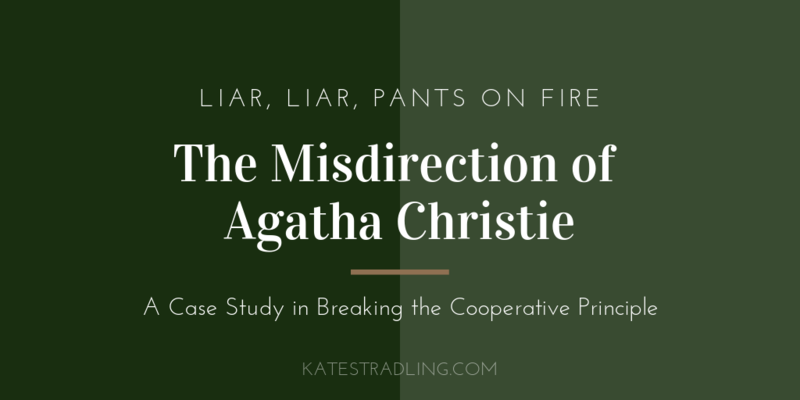 And Agatha Christie, as the queen of mystery, has mastered the subtle art of misdirection. Hence, she’s the perfect author to study for breaks in the Cooperative Principle on multiple levels of dialogue. SPOILER ALERT: This post includes some serious spoilers. On the one hand, Christie’s work has been out for decades, and this is a discussion on craft. On the other, spoiling a Christie novel is almost a capital offense. If you’ve not yet read the following titles and you want to read them without external cues, kindly skip this post and come back when you’re ready. The Murder of Roger Ackroyd is an icon of the whodunit genre. Our 1st Person narrator, Dr. Sheppard, records events surrounding the death of the eponymous Ackroyd, along with the exploits of the famous Hercule Poirot in uncovering the murderer. And oh, is the misdirection strong. Early in the narrative we have the following exchange, in which Ackroyd and Sheppard discuss a letter just received by the soon-to-be-murdered man. The letter contains the name of a blackmailer, and its writer, a friend of Ackroyd’s, has already killed herself because of the wicked soul. Ackroyd stared at me in some surprise. But for some reason, obscure to myself, I continued to urge him. “At least, read the name of the man,” I said. Now Ackroyd is essentially pigheaded. The more you urge him to do a thing, the more determined he is not to do it. All my arguments were in vain. But he’s masterfully breaking the Cooperative Principle on both the character-to-character and the narrator-to-reader layers of dialogue. Sheppard withholds information by being vague (“if there was anything I had left undone”). He also gives too much information about Ackroyd’s stubborn character and his own concern for the man. Sheppard lies: “But for some reason, obscure to myself, I continued to urge him.” He knows Ackroyd is pigheaded. He doesn’t want him to read the letter because it has his own name in it, so he urges him to read it, knowing that will make him refuse. Manipulation at its finest, in other words. His false sincerity toward Ackroyd (making excuses for Ackroyd’s behavior) belies his true intents; his insistence for Ackroyd to reveal the blackmailer’s name implies his own innocence to the reader, too. Why would a guilty man urge his own unmasking? By focusing so keenly on the letter (“It was just on ten minutes to nine when I left him, the letter still unread.”), Sheppard indicates that it’s the most important element of this scene. This misdirection is especially brass because Ackroyd is already dead. But sure, tell us about the letter. That seems relevant. This is the scene that first-time readers inevitably flip back to when they reach the grand reveal. Sheppard, the unreliable narrator, presents a picture of honesty and forthrightness, but his perfidy was between the lines all along. One of Christie’s lesser-known tales, The Secret of Chimneys is actually my favorite of her novels. Some of its characters reappear in her other work, but the book itself is a stand-alone rather than part of any of her serials. It has a light-heartedness despite being a murder mystery, and some fairytale elements render it a delightful read. Best of all, it begins with a deceptive wink toward the reader. Castle’s Select Tour, represented by seven depressed-looking females and three perspiring males, looked on with considerable interest. Evidently their Mr. Cade had met an old friend. This is misdirection from line 1. We know from the chapter title that our hero’s name is Anthony Cade. We know from the third paragraph on that he is the person referred to as “Gentleman Joe.” After his conversation with McGrath ends, the nickname leads to the following exchange between him and one of his Castle’s Select tourists. Within the opening scene of this novel, Ms. Christie calls into question her hero’s identity and then immediately reestablishes it. Of course he’s Mr. Cade. Who else would he be? As the story unravels, the reader takes it for granted that the hero knows things beyond the scope of what a mere Anthony Cade might know. He’s clever and quick-witted and affable. He’s lived abroad and encountered lots of people and cultures. When characters’ identities start getting called into question, we can count on him to be who he says he is. Other characters begin to speculate on Mr. Cade’s true identity, and the reader has this scene playing in the back of their mind. He answered to a different name. Does anyone really know who this person is? Christie both foreshadows and disarms that foreshadowing, so that the truth emerges in a delightful plot twist. The abundance of attention paid to Anthony Cade’s name in the first chapter seems to point to his authenticity instead of away from it. But this is a case of TMI. Instead of reassuring us, it should spike our suspicions. Our hero never actually tells Miss Taylor his name. He hedges around it by saying he “thought [she] knew it was Anthony.” While what he says is technically true, it also leads her—and the reader—to believe something false. Mr. Cade’s vague manner of speaking allows those around him to assume they know who he is. 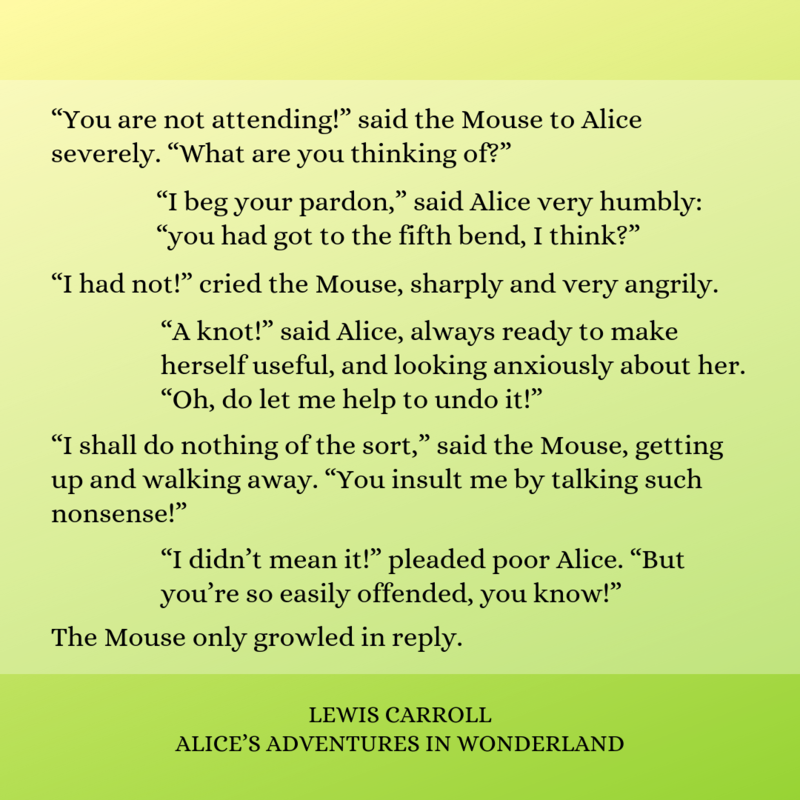 So, too, does the narrator’s ambiguity allow the reader to make assumptions about his identity. The nickname itself, Gentleman Joe, gets played off as a bit of playful sarcasm. In fact, it’s an insight to Anthony’s character, that he comes from different origins than he pretends. So who is he really? The infamous jewel thief, King Victor? The missing-and-presumed-dead monarch of Herzoslovakia? Or simply an old Oxford boy drawn into an adventure of murder and mayhem? This one I won’t spoil, except to say that he’s not Anthony Cade. In December 1926, at the age of 36, Agatha Christie disappeared. Her car with her coat in it lay abandoned on a hillside above a chalk quarry. Was it a publicity stunt? An abduction? A suicide attempt? No one knows. Eleven days later, she turned up in a hotel in Harrogate, where she’d checked in under the name of her husband’s mistress. While a massive manhunt searched the countryside for her, she’d been attending evening parties and other such events. She claimed amnesia and never spoke of it again. Speculation has abounded, that she crashed her car and lost her memory, that she tried to commit suicide but had a change of heart, that she faked her disappearance to make her philandering husband the center of a murder investigation. Personal events in her life at the time pointed toward emotional upheaval: her mother had recently died, her husband wanted a divorce. But the episode remained shrouded in mystery. 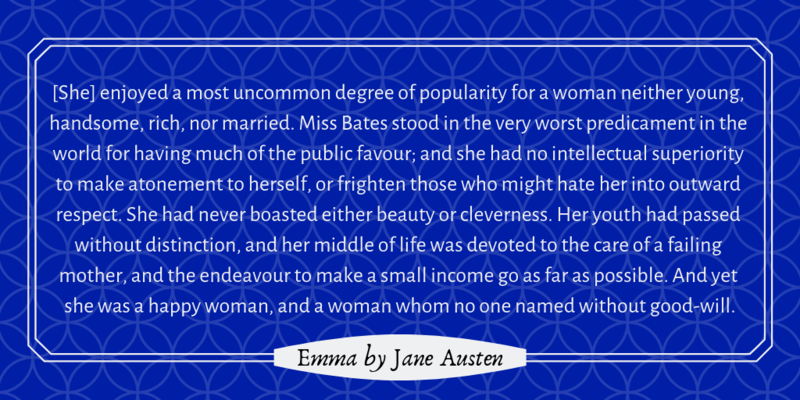 When, decades later, she dictated an autobiography, audiences expected some revelation about this period to emerge. Christie opted out. She didn’t even mention it. But really, what better badge of honor can the most successful mystery writer of all time have than an unsolved mystery in her own life? Christie is a master of misdirection because she uses her audience’s truth bias and cooperative defaults against them. She drops subtle clues and then plays them off as nothing important, and we believe her. And thus, she fulfills her Author-Audience contract to a tee. She tells us a gripping yarn, and twists a knife in our backs when we least expect it. 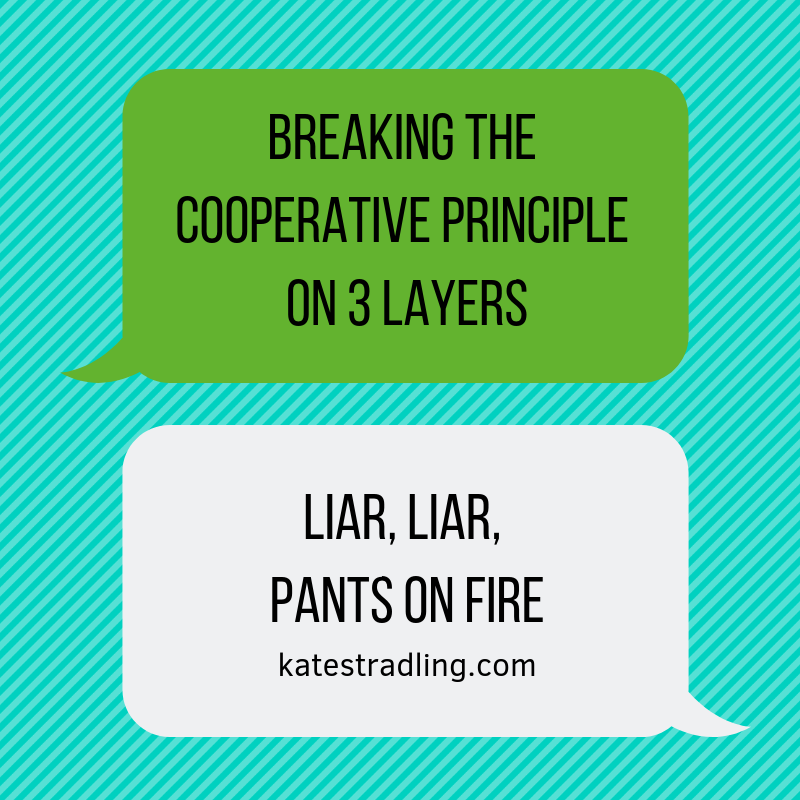 Now that we’ve explored the Cooperative Principle and how to break it, we turn our attention back to our three layers of dialogue. Breaking the CP will look different on each of these layers. Some breaks are good and can drive the plot, while others should be avoided at all costs. We’ll examine these by type of break and layer of dialogue. In the real world, we are keyed to tie pronouns to their referents. When the referent is missing, there’s usually a double-check, “Sorry, who are we talking about?” or something similar. Pronouns only have meaning in their context, so this is one area that we instinctively clarify when there’s any ambiguity. Long story short, if you’re using a “vague pronoun causes misunderstanding” trope, make ABSOLUTE CERTAIN there is a reasonably assumed referent. Otherwise, this trope becomes contrived. These types of breaks frustrate a reader at best. At worst, they drive the reader away from the book entirely and can generate ill will and scathing reviews. The narrator should not commit unintentional violations of the Cooperative Principle. Unintentional violations on this layer break verisimilitude with the audience because they are mistakes in the very mechanics of a story. The reader might or might not recognize that a violation occurs, but at some point, it should come out. It can be a strong reveal or a satisfying payoff. Or, it can be a detail that lies dormant, waiting for the canny reader to ferret it out from the other clues around it. Because the narrator knows they’re violating the CP, the reader shouldn’t realize in the moment. Otherwise, the violation becomes a clumsy attempt at storytelling rather than an authentic, immersive tool. What do I mean by “subtly trolling”? This happens when the author sees their audience not as partners in creation, or even as fellow humans, but merely as a means to a paycheck. The recent book-stuffing epidemic on KDP, for example, violated cooperation because readers often didn’t know they were helping those authors commit fraud. Author-to-audience violations happen outside the narrative of the book. When discovered, they are a rude awakening to those who were duped. Flouting on this layer amounts to wonderful exchanges, where alternate meanings create multifaceted conversation. It’s the antagonistic flirtation between reluctant lovers and the battle of wits between rivals. Everyone loves a good character-to-character flout. The reader knows there’s more than what they’re receiving, but the narrator doesn’t elaborate at that time (or ever, in some cases). This is the author who lists their book with keywords that don’t apply, or who claims a genre they’re not remotely writing. It’s the erotica listed as a clean read, or vice versa. The audience comes to the table expecting one thing and gets slapped in the face with another. Don’t flout your audience. It’s not nice. For funsies, I’m including how to opt out on the three layers, but breaking the CP in this manner is pretty basic. The narrator opts out when they stop telling the story. (Surprise!) Don’t like a cliffhanger ending? Too bad. The author opts out when they stop writing, and the audience opts out when they stop reading an author. DO NOT WANT, for either of these. Although H. P. Grice’s Cooperative Principle provides lovely guidelines for how to accomplish good communication, for writers, its real value lies in breaking it. We all inherently know how to be non-cooperative, but we might not recognize the dynamics at play. Violating and flouting maintain a veneer of cooperation even though they involve breaking one or more of Grice’s maxims (quantity, quality, manner, and relevance). Opting out is blatantly non-cooperative. We violate the Cooperative Principle on a daily basis, in one form or another. It can be malicious or benign. Sometimes, it’s unavoidable. This type of break occurs when a speaker openly defies a maxim so that the hearer understands there’s an alternate meaning. ­Sarcasm, jest, double-entendres, language play, and gatekeeping can all fall into the category of flouting. We generally associate abrasive personalities with this type of non-cooperation. These are speakers who don’t tell us what we want to hear, who spout bald-faced lies to test our gullibility, who use obscure language as a barrier. They are also the jesters and the sages, two archetypes that circle one another. Flouting often requires wit and a healthy dose of hubris. It’s a great way to alienate others by making them feel stupid, foolish, or out of the loop. It is a defensive language pattern as well. We flout when we want people to back off, to leave us alone, or to shut up. Flouting can be aggressive—a warning for its recipient to seek conversation elsewhere—or it can be playful, a challenge to engage in deeper meanings. Even though there’s no exchange of words, communication still occurs. Opting out can convey displeasure, disdain, contempt, and/or rejection. It is the last refuge of someone who is overwhelmed by another person’s communicative style. It can be passive-aggressive, or an amazing power play. My favorite example of opting out comes from the life of Jesus Christ, in Luke 23:8-9 (KJV). 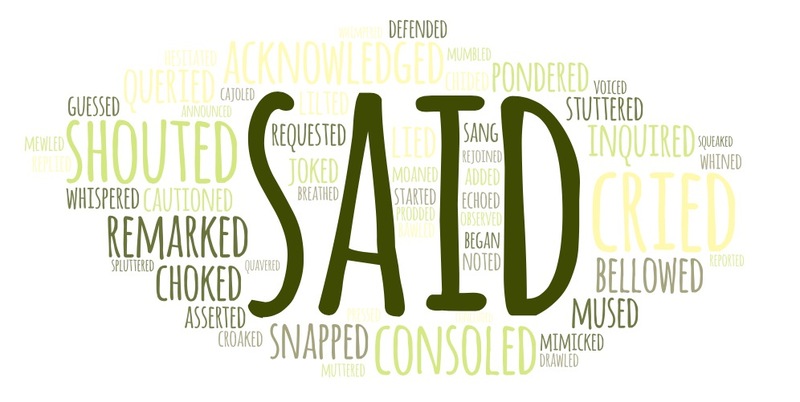 When under condemnation and brought before Herod for questioning, the Savior says nothing. Ultimately Herod sends him away mocked and belittled, but with his own desires left unfulfilled. This example shows that breaking the CP in this manner doesn’t have to be derisive or mean-spirited. Sometimes, the most effective conversation is no conversation at all. Cooperation is a malleable principle. Thanks to the many layers of communication, it is possible to keep and break it at the same time. Cooperation to those who understand the reference. A intentional violation to those who don’t catch the joke. A gatekeeping flout to those who know they’re missing out, if the speaker is aware it’s an inside joke and uses it to exclude. An unintentional violation if the speaker thinks everyone’s in on the joke when they’re not. Insides jokes are a form of code-switching, and codes are inherently cooperative and non-cooperative, depending on whether the listener is meant to understand or to be excluded. In this same category, Easter eggs and other hidden messages create a type of layered cooperation that unfolds with increased familiarity. The new or casual fan doesn’t know they’re missing out, but as they delve deeper into the source material, they discover these extra gems. Metaphors, too, might fall under this cooperative/non-cooperative dichotomy. They carry surface meaning that can be apparent or obscure. If the listener doesn’t recognize there’s a metaphor at all, it becomes a violation. If they know they’re missing the true meaning and the speaker refuses to explain, the metaphor becomes a flout. For extended metaphors like allegories, the surface story holds one layer of meaning easily accessed (cooperative), but the listener must delve into symbolism to arrive at the deeper, intended message. In this, the listener chooses their level of cooperation, whether to accept the overt message as-is or to explore other avenues of meaning. A listener who closes their mind to metaphorical interpretations, then, becomes non-cooperative in their own right. Ultimately, we’re always communicating something. Non-cooperative conversation is a powerful tool to influence and manipulate. From outright lies to subtle details to silence, it can shape how people perceive others and the world around them. Where writing is concerned, non-cooperation is a driving narrative force. We’ll explore one such example in the next post. 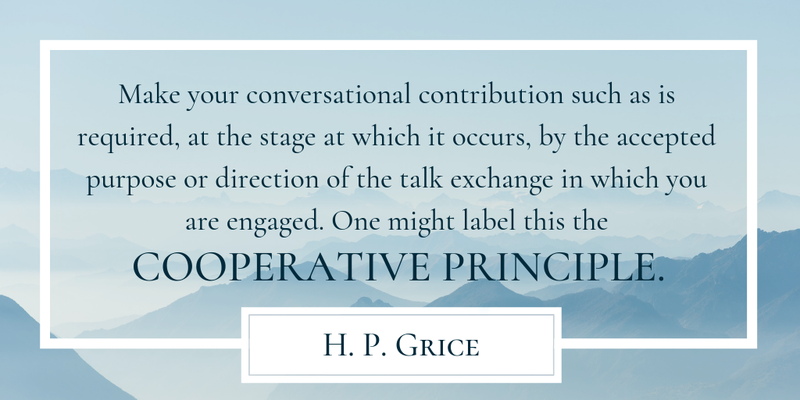 In the 1960s and 70s, linguist H. Paul Grice defined the Cooperative Principle to explain dynamics of conversation. Even though his work hinges on real-life interactions, we will imprint it onto written dialogues. If you’re not a linguist, the above quote is some lovely word salad. We’ll break down what it means in a minute, but first, some broader precepts. Cooperation is our natural default. Implied meanings can be cooperative. Grice holds that not only is the CP our natural default, but “that it is reasonable for us to follow, that we should not abandon” it (Grice, p. 48, and the emphasis is his, not mine). We generally avoid conversations where we anticipate non-cooperation. This is why you might put off calling an insurance company, making a doctor’s appointment, talking to an ex, and so forth. If you suspect someone might give you grief rather than doing what you want, you delay engaging with them. On the other side of the coin, we also avoid conversations where we personally don’t want to cooperate. Hence, we screen our phone calls, hang “No Solicitors” signs on our doors, and take the long way ’round to avoid someone tedious in the grocery store. Under the Cooperative Principle, the listener has a responsibility to interpret the speaker’s intended communication, even if they have to ignore literal meanings. Analogies, sarcasm, double-entendres, and puns all fall into the realm of cooperation, even though the listener has to perform some mental legwork. Thus cooperation, though a default, is more than straightforward communication. Not only is politeness not required for cooperation, but it can sometimes be a roadblock. Two people can have a shouting match and still be cooperative if each wants to communicate their frustrations to the other. In contrast, someone who withholds an honest opinion for fear of offending is non-cooperative if their partner truly seeks their feedback. Politeness actually inhibits cooperation in that scenario. However, if someone wants politeness from their conversational partner instead of the truth, bluntness becomes non-cooperative. There’s a bit of mind-reading involved. Cooperation, then, occurs when both parties have their conversational expectations met. Quantity: Do not speak more or less information than necessary. No TMI. No skipping or withholding necessary details. Quality: Do not speak that which you know to be false or for which you lack evidence. No lying or gossiping. Manner: Speak in a clear, brief, orderly manner. No rambling, muttering, ambiguity, obfuscation, etc. Relevance: Speak only that which is relevant to the topic. No tangents. I’ve listed Relevance last because some pragmatists hold that it is the umbrella principle that everything else falls under. 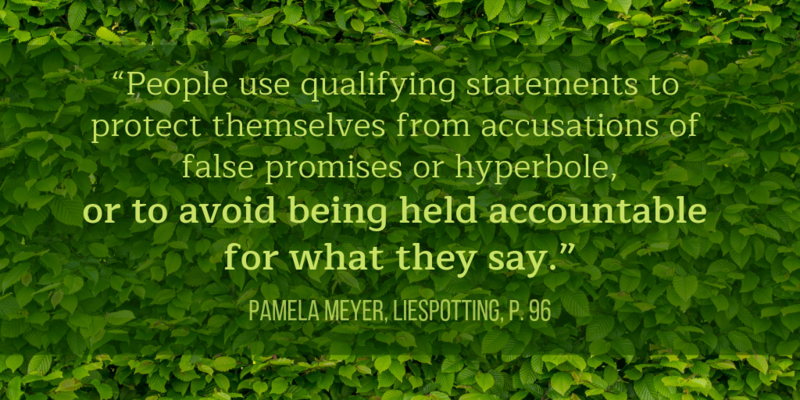 Lies and word vomit are not relevant to a topic, and speaking affectations draw away from intended meanings. Regardless, these four categories work together to produce solid communication. The only layer of dialogue that should always adhere to the Cooperative Principle is the Author to Audience layer. But remember, as an Author, you’re only being cooperative if you deceive your Audience. In other words, your characters and your narrator should routinely break the Cooperative Principle. Which is what we will explore next. †This is either a quote or a paraphrase from my Pragmatics professor, Don L. F. Nilsen, whose name I had to dig through old boxes to find because it was well over a decade ago. But the sentiment has always stuck. Grice, H. P. (1975) “Logic and Conversation.” Syntax and Semantics, Vol. 3, Speech Acts, ed. by Peter Cole and Jerry L. Morgan. New York: Academic Press. Pp. 41-58. Our barrier object series continues with expanded verb structures. These come in a variety of forms. In the simplest of sentences, the verb expresses only Tense, past or present. John keeps a book on his nightstand; he reads before bedtime. Mary celebrated her birthday all month long, and she partied hard. In English, future tense requires addition of a modal, will. She will meet you at the restaurant. The verb structure expands to accommodate this: “meet” loses its inflection and “will” assumes the tense feature. 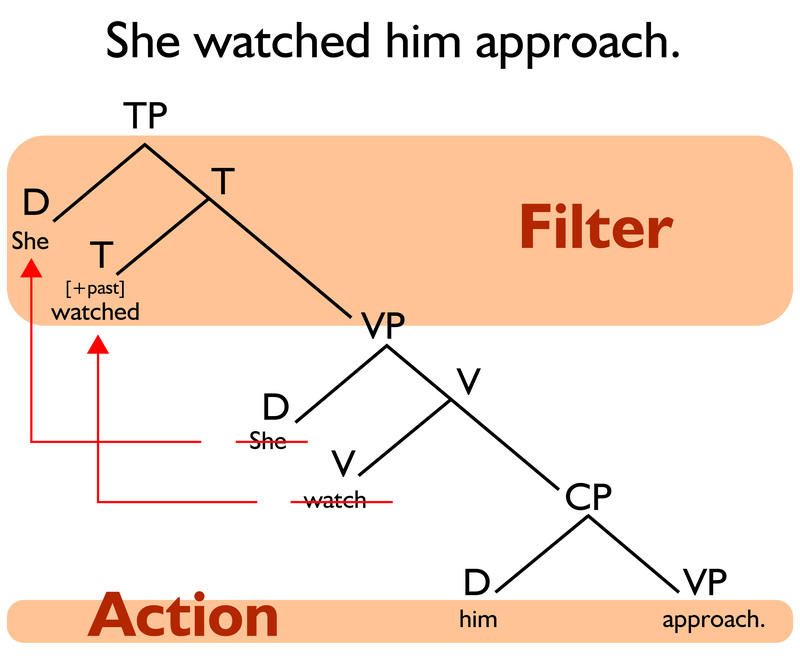 As more verb features add into the mix, the structure expands further. Auxiliary verbs be and have assist in Aspect and Voice, and auxiliary do assumes the tense feature for negatives, emphatics, and the interrogative Mood. John is keeping a book on his nightstand; he has read it before bedtime. The book is opened each night. Mary did celebrate her birthday all month long. She didn’t party too hard, though. Modals (AKA ” discrepancies”) express conditional or hypothetical attitudes towards the words spoken. Each of these additions causes a subtle shift in meaning for the verb phrase as a whole. Whichever verb—modal, auxiliary, or main—appears at the front of the structure carries that essential Tense feature. This tense-bearing verb, then, is the most important verb in any sentence, structure-wise. But semantics-wise, the main verb always carries that torch. And the farther apart they are, the more diluted that main verb becomes. If a sentence requires additional nuances, these expanded verb structures serve a necessary purpose. However, especially in patterns of deception, extra nuances slip in unnecessarily, and the structure carries more baggage than needed. John was glaring at Mary. Both give the reader the same semantic information, but Sentence #2 is more efficient about it. Sentence #1 has added a progressive aspect, even though there’s no other event occurring at the same time as John’s glare. The aspect, then, is gratuitous. A single three-letter word might not be much for a reader to gloss over, but when it becomes a pattern of usage, that gloss becomes a game of leapfrog. This goes for extra modals as well as auxiliaries. Any string of function words beyond the main verb (the semantic powerhouse) merits scrutiny. ­Mary frowned at this disclosure, any retort she might have made having been stifled. Here we have 6 (six!) verbs in a row. They are two separate verb phrases, (she) might have made and having been stifled, both of which modify “retort.” Only the past participle stifled carries distinct concrete meaning, while everything else adds nuance. Mary frowned, her possible retorts stifled at this disclosure. This revision gives the exact same semantic information to the reader, but without so much structure to stumble through. An expanded verb of this ilk has inefficiency built into its structure. The [verb]-ing participles of the first bullet are where we find the more important semantics of the phrase. The reflexive nature of find oneself [verb]-ing creates distance between the subject and the action, as though a character isn’t wholly in control of themselves. He began shouting at the crowd. He shouted at the crowd. Both say the same thing, but the second is more direct. 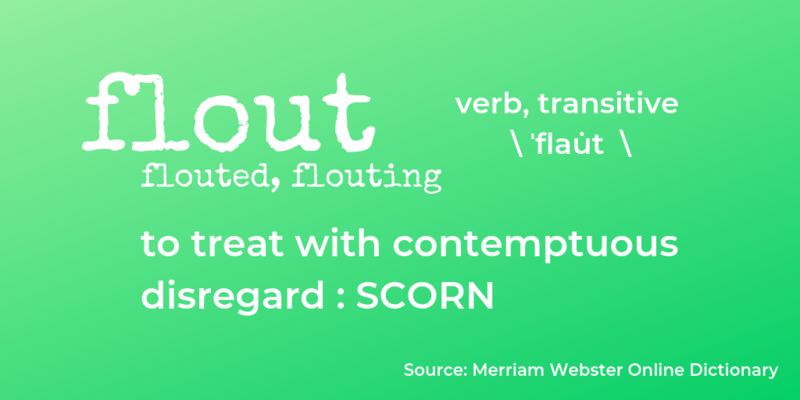 However, if we add an interruption, the “began [verb]-ing” structure becomes justified. He began shouting at the crowd, but his wife clamped her hand across his mouth. Aspects happen in concordance with another event. On their own, they become expendable. As with strings of modals and auxiliaries, weak verbs that take infinitives as their complements can stack up like a conga line. My boss tends to want to get to work early. Add in any aspects or moods, and this could easily spiral out of control. In these cases, outright revision is the best bet to eliminate the string, unless you really, truly need it. My boss comes to work early if she can. It’s not semantically exact, but it’s close enough that the same sense remains. Of particular note in our above list of weak verb examples, make and take fall into the category of light verbs, along with do, have, and give. If you look them up in the dictionary, their entries can span over multiple pages, because their meanings have diluted to a bland meh that requires modifiers. They are the unseasoned starches of the language. And why would we purposefully use them? In many cases, these expanded verb structures have no different meaning than their simpler counterparts. If you make a decision, you decide; similarly, to make an escape = to escape, to take a seat = to sit, to take a bite = to bite, and so forth. The primary difference lies in structure, not in semantics. Weak verb phrases say very little in a lot of words. Revising for more precise language simplifies these structures, which allows the reader to access the story without wading through that slew of extra verbiage. Does my tense-bearing verb communicate the main action of the sentence? If not, is there a good reason why? Don’t bog down the reader with too much structure. Our brains actively look for the verb in the sentence, so keep it efficient. Tl;dr, simple tenses are better; save the expanded verb structures for when they’re necessary. The next offender in our sequence of barrier objects is a big one: filter verbs. She felt the cold November wind wafting through the window. He knew his horse would find the way. What do all of these sentences have in common? They all use filter verbs. You may or may not have heard the term before. Some people call them “tell” verbs (as opposed to “show” verbs, from the infamous writer’s adage, “Show, don’t tell”). Some refer to them as sensory verbs. They appear when the focal character filters the narrative through their lens of experience, a rhetorical bottleneck between the reader and the action. 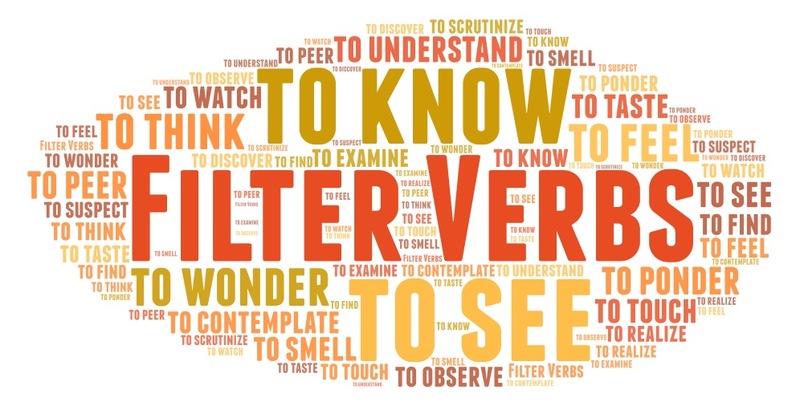 The category of filter verbs does include your standard sensory verbs, but also anything that happens inside a character’s head. And inevitably, any prescriptive discussion of these offenders produces a list of words to avoid. I don’t like these lists. They’re never all-inclusive (because they can’t be), and they fail to address the underlying issue. Writers eliminate one filter only to replace it with another, because it’s not a word problem at all but a structural one. It is a filter verb if the character is making an observation instead of acting or being acted upon. In linguistics, we call these “verbs that assign an experiencer argument to their subject.” And really, there’s nothing structurally wrong with them. The issue lies in our layers of dialogue. Your reader is supposed to be the experiencer. Filter verbs make them experience events second-hand instead of immersing them in the story. The “experiencing” character becomes the barrier. Filters form a barrier in sentence structure itself. To illustrate this, take a look at the x-bar diagram for Sentence #3 from our list of examples above. According to minimalist syntax, everything with concrete meaning starts in the Verb Phrase (VP), and certain elements take on grammar by moving up into the Tense Phrase (TP). Now imagine yourself standing at the head of that sentence, by the letters TP in the picture. To get to the lexical meat, the action, you have to wade through the filter first. The beginning of a sentence carries the most rhetorical weight. Filter verbs work against us on both of these principles. Is a character “watching” more important than a character “approaching”? The inclusion of such implies that it is. He approached while she watched. His horse would find the way, he knew. The cold November wind wafted through the window; she felt it. And suddenly, no one cares about the observer. Why? Because any importance their observation carried was tied to sentence position, not to a greater semantic or pragmatic message. If you write in 1st Person or 3rd Person Limited Omniscient, your character’s observations are built into the point of view. We know they see something because if they didn’t see it, it wouldn’t show up in the narration of events. Filters, then, become redundant. Their elimination can tighten prose and shift focus to the more interesting action of the story. You can rewrite passages to eliminate filters, but removal of this barrier doesn’t have to be difficult. Often, a more active verb lurks beyond the filter. ­The man felt a strange knot twisting his insides, warning him to flee. A strange knot twisted the man’s insides, warning him to flee. And suddenly, that knot is twisting your insides too. 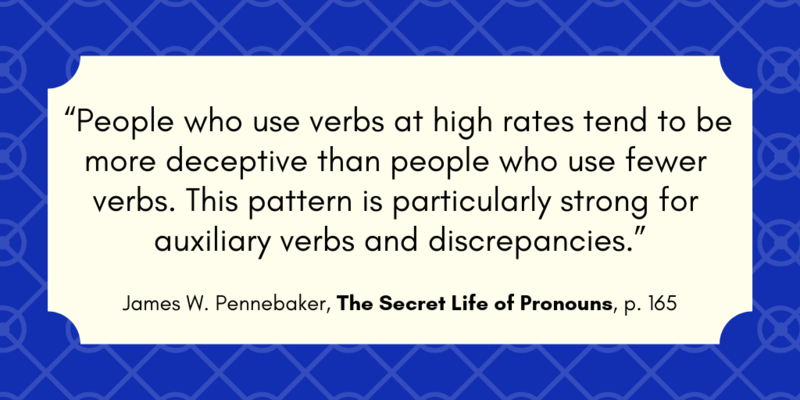 A simple shift in tense-bearing verbs allows the reader to experience such action directly instead of getting a watered-down account. She saw a flex of wings along its blurred back. Wings flexed along its blurred back. Which is far more dynamic than its original incarnation. Some filters point to a different grammatical mood in their unfiltered form. ­She thought she saw a flex of wings along its blurred back. ­Was that a flex of wings along its blurred back? Was it? We don’t know. The reader gets to wonder alongside the focal character, drawing out tension in the scene. Removing filters leads to a more immersive reading experience because it engages the reader directly with the action. They see and feel and experience alongside characters instead of processing events second-hand. As with all our barrier objects, filter verbs function best when they have a witting purpose. They’re excellent in dialogue, when one character needs to communicate experiences to another. In narration, they allow moments of introspection, often necessary in character development and plot progression. They allow, too, distance. There may come occasions in your story where you want to push your reader back a step. Filters very calmly, very cleanly accomplish this feat. Particularly when used with restraint.